NEW Language support means most all of the information presented on the TV can be switched between English / Spanish / German and French. The translations were provided with help from ISS-Above customers/supporters who are native speakers in those languages. Taking the Mystery out of the ISS Sky Pass info screen. I've added text markers for the altitude circles showing the position of the ISS as it passes over your location. (Su = Sun, Mo = Moon, Ve = Venus, Ma = Mars, Ju = Jupiter, Sa = Saturn). This was requested by some to "clean up" the display. Note: That IP address is CRITICAL for you to gain access to the Web Admin (setup) of the ISS-Above. If you disable that display you MUST know how to find out what that address is by other means (e.g. via your router web admin). So ONLY disable that if you know what you are getting in to. Numerous bug fixes to improve overall reliability and operation. 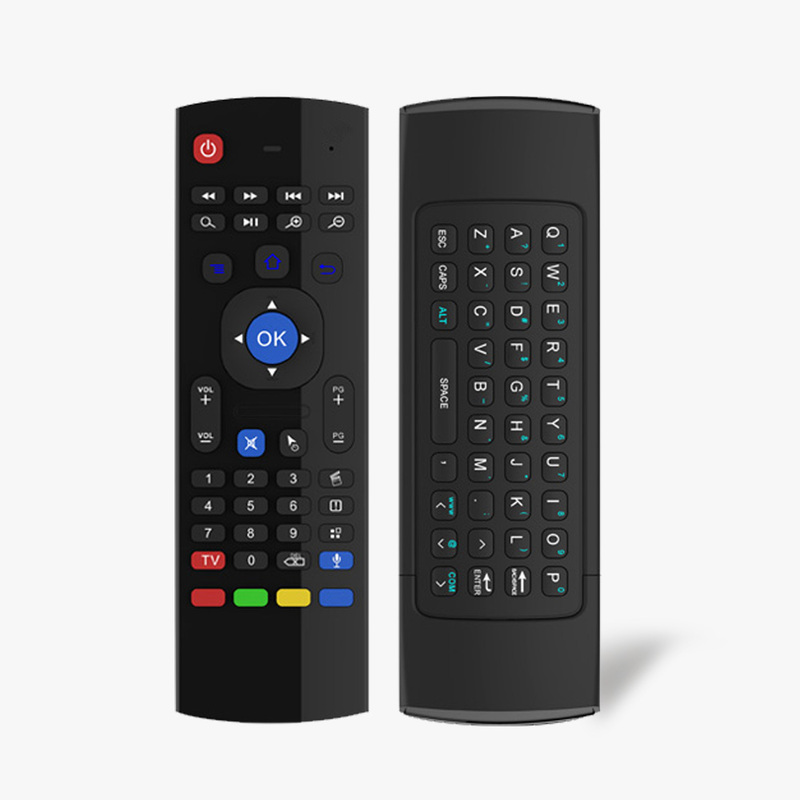 You can now purchase a simple remote that can control some basic features on your ISS-Above. This includes being able to display specific information screens and turn on/off the live video also you can turn OFF your ISS-Above. We'll post more detailed usage information on our support area soon. If you wish to see a particular language supported and you can provide translation support in doing that or you have feedback on these translations please get in touch with us by sending an email to support@issabove.com. I know... "Why didn't I do this sooner?". Good question. I had this thought that I wanted you/students to discover what this screen showed. I would occasionally get questions from customers about this screen and I was always delighted when they would also make a GUESS and actually figure it out. Well.. now we have more than 2200 of these around the world and more going in to schools - I decided it's time I just labeled everything on the screen. Hope you like the change! This is "mostly" about making the screens a little prettier - but it also serves a more practical purpose. When I started installing these in public locations (Science Centers) or somewhere they will be viewed by lots of people (for instance at NASA's Jet Propulsion Lab!!!) I was asked to remove the display of the IP address to help prevent "curious minds" from thinking they should try to discover what nice things they could gain access to by tapping in the IP address in their browser. Now you can do that too.. but WARNING.. you have to be a little bit nerdy/geeky to be able to know WHAT that IP address is whenever you want to access the web admin system. So.. only make the change if you are clear of your technical capabilities. Nuff said? Use the up and down buttons on the control surrounding the OK button to switch to next screen or the previous screen. PG- will stop the HDEV video and return to info screens (see below). To restart the ISS-ABOVE pull the power cord and reinsert it. Pressing L toggles between all the available languages. Pressing 00 (zero twice) brings up a "Health Check" screen which runs a few tests and displays the results to your screen for a few seconds. I may ask you to do that if we need to diagnose any issues with your device/network. Look for version 2.232 (or later) coming to your ISS-Above very soon! ISS-ABOVE – where’s the curriculum?